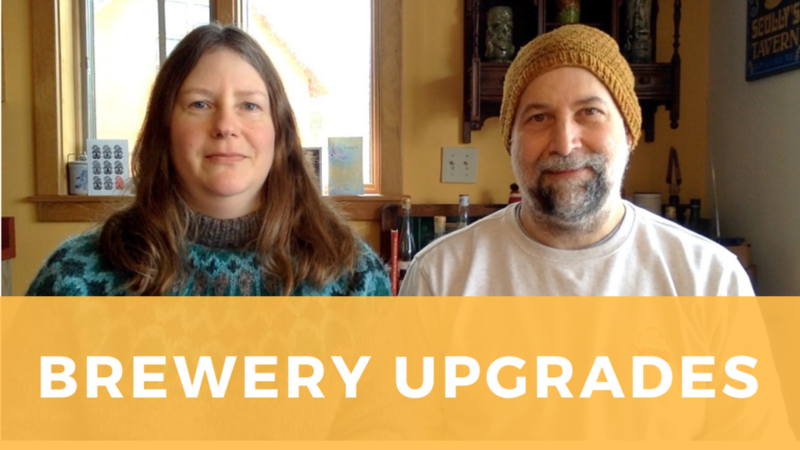 Over the years, we’ve come to realize that each iteration of our homebrew setup was lacking in some way: convenient access to water, adequate storage space, reliance on fossil fuels for heating water, or just a pleasant space to work and hang out while waiting for various steps in the brew process to complete. In the past few months, we’ve carved out a dedicated workspace in the basement to address these problems. We’ve also purchased a few new pieces of gear to make brewing even easier. Join us for a tour of the new space and some more details that we share in the video. Grain Mill: Barley Crusher MaltMill, 7 pound capacity. Boil Kettle: MegaPot 1.2, 10-gallon capacity with built-in thermometer and drain valve. The kettle isn’t new, but the bubble-foil insulated suit was created for the new electric setup. Fermenter: Craftabrew Catalyst with the jacket. Find more posts on Beer & Brewing!